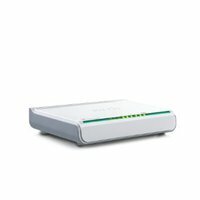 TL-R402M SWITCH-ROUTER 4ports x LAN + 1port x WAN, 10/100Mbit	465,00 ден. 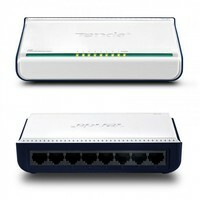 21.99.3115-5 VALUE Fast Ethernet Switch, 5 port	490,00 ден. 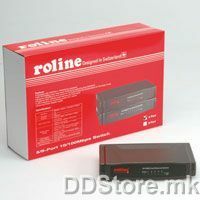 21.14.3156-5 ROLINE RS - 105D, Fast ethernet Swich 5 port	550,00 ден. S108 SWITCH 8port, 10/100	550,00 ден. 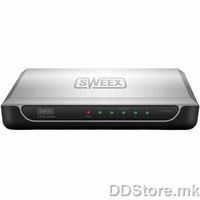 Sweex 5port 10/100 switch SW015	590,00 ден.